A view back from a ferry crossing to Kennacraig in June, looking to Islay (on the left) and Jura (on the right, with the Paps of Jura clearly visible). 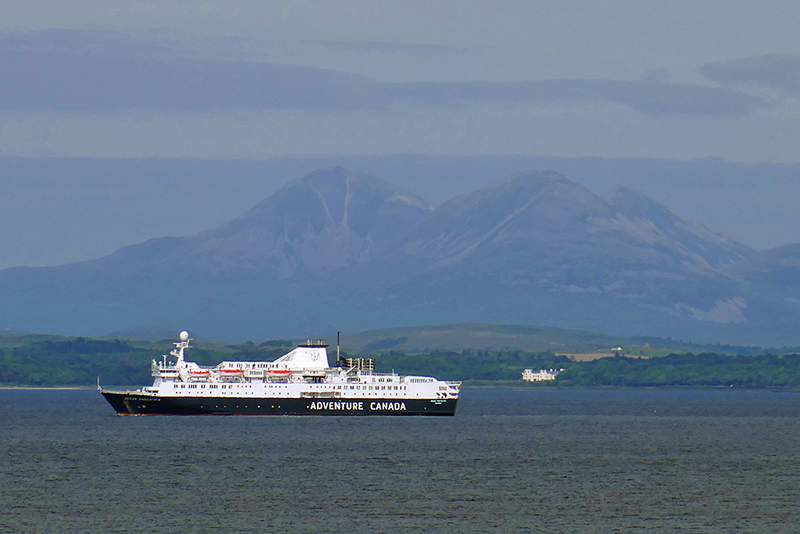 The MS Ocean Endeavour anchored in Loch Indaal with the Paps of Jura providing the background. Islay House also in view just to the right of the cruise ship. 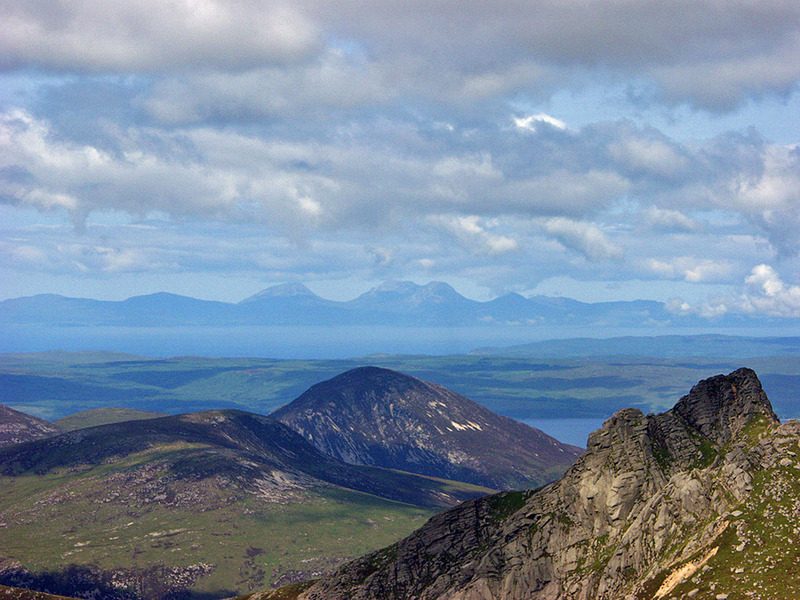 A follow up to the view of Islay and Jura from Goatfell, here a closer look of the Paps of Jura. Not the greatest quality, but this was back in 2004 when digital cameras weren’t as advanced as they are today.